arrived next day. Only hiccup was that the positive terminal screw was missing. Took one off old battery so no problem. Very good quality battery. very pleased with it. Made a big difference, my bike starts straight away now! Absolutely stonkin' battery. I fitted it to my 1992 Trident 900 which demands a lot of cranking amps from cold and it fires up no problem. Best battery I've ever bought. Delivered quickly too. Fast delivery. Well packaged. Strong turning the engine over. Triumph 1200 Daytona. Wow ! 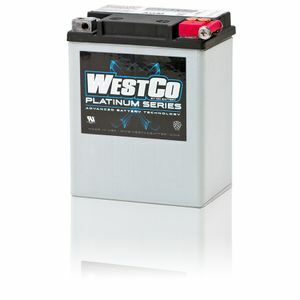 Great battery, you can feel from the weight of it that it feels like a quality product. So i bought one more ! The cranking power is high. You can feel it when u hit the starter.Great product.I live in the Scandinavia area it took 3 days to deliver, which is real fast. Next day in the uk i believe. Had been having ongoing battery starting problems, so bought the most expensive battery in the range. Like others that have bought this battery, it now starts immediately. Order placed one day received delivery the following day. You cant ask more than that. Great on time delivery. Wonderful idea packing it in egg boxes to stop it getting damaged. Battery working well glad I went for the top of the range.